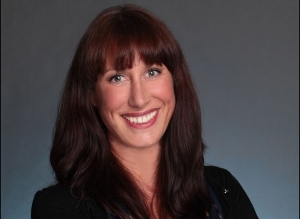 Scripps Networks International has confirmed the hire of Jo Lovell who joins its distribution team. DTVE’s sister title TBI first reported Lovell had joined Scripps from A+E at the end of last year. Scripps said this morning that Lovell has taken the position of director of international programme licensing and distribution, EMEA. She will work out of Scripps’ London office and report to Hud Woodle, vice president, international programme licensing and distribution. He oversees sales of content from Scripps’ family of lifestyle channels, which include DIY Network, Fine Living, Food Network, HGTV and Travel Channel. Passion had been selling its content in recent years, but it took distribution back in house last year. “As our international program licensing business continues to grow, it is imperative that we establish a strong global sales force,” said Woodle. At A+E Lovell was senior director of content sales, overseeing programme licensing for their portfolio of channels including A&E Network, HISTORY, Lifetime, BIO and Crime & Investigation Network. She has previously worked in distribution at Carsey-Werner and Fremantle International.